HP LJ 2100 Ultra Precise Toner Cart., 5K Pages (C4096A) : Disk-O-Tape, Inc. The C4096A is a one-part Ultraprecise Print Cartridge with new toner formulation and cartridge design. It is specifically designed to work with the HP LaserJet 2100 and 2200 Series printers to ensure optimal printing of text and graphics. The C4096A Print Cartridge provides professional LaserJet print quality that is a great choice for every type of printing need, with superior detail and gray-scale quality allowing for attention-getting, persuasive documents. It's a robust solution able to support the demands of small group printing. Printing results are consistent with HP's reputation as the leader in laser printing. Prints approximately 5,000 pages, based on 5% average coverage. Designed to work precisely with HP LaserJet 2100 and 2200 Printer series. Competitively priced cartridge that provides professional print quality. 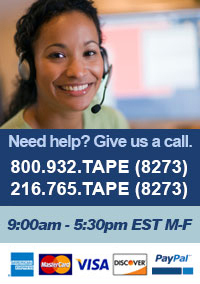 Features true 1200-dpi quality for optimal printing of text and graphics. Easy to use: by design there are no messes or hassles. 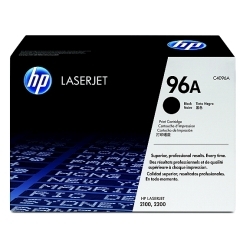 Offers a 23% increase in yield over the previous HP 03A Black LaserJet Toner Cartridge. Average cartridge yields 5000 standard pages. Page yield (black and white) Average cartridge yields 5000 standard pages. Declared yield value in accordance with ISO/IEC 19752.